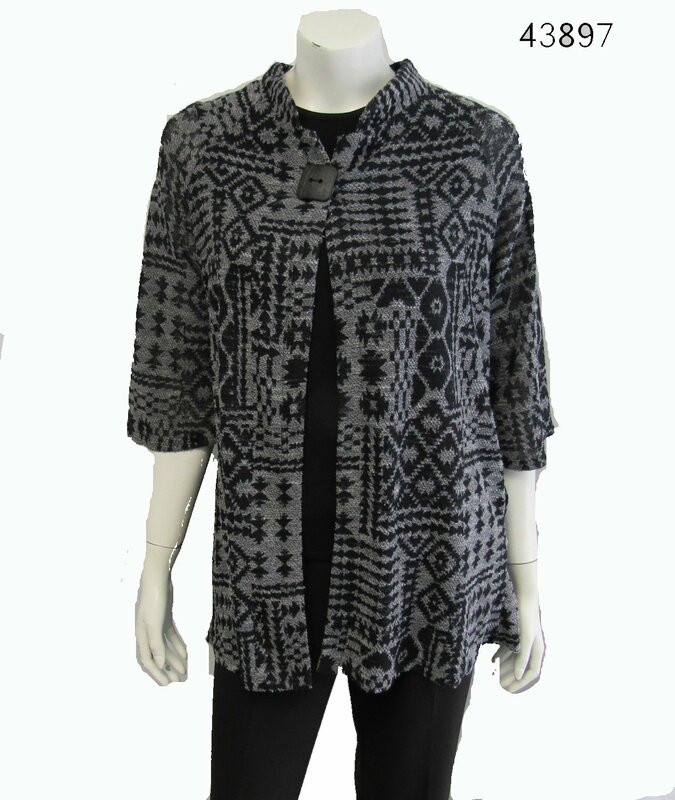 Add sophistication to any look with this versatile layer that is both fun and functional. 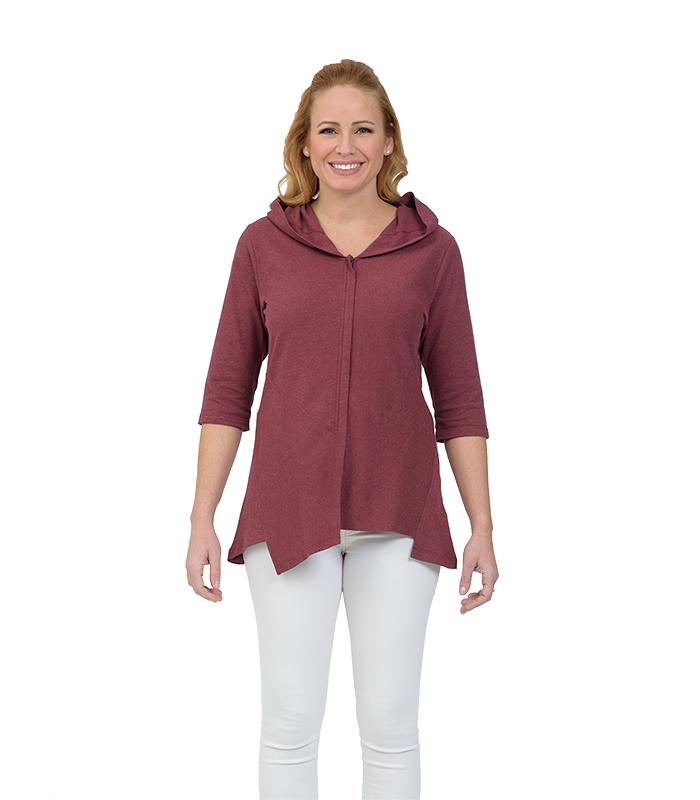 This long swing jacket features side insert pockets, a hood and decorative topstitching. 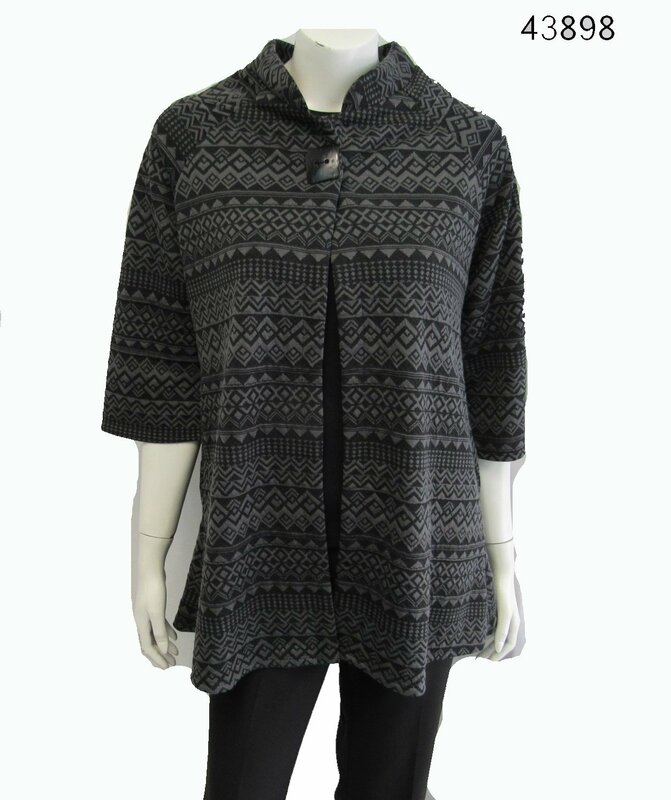 This hooded jacket is a perfect lightweight layer to get you through any season. 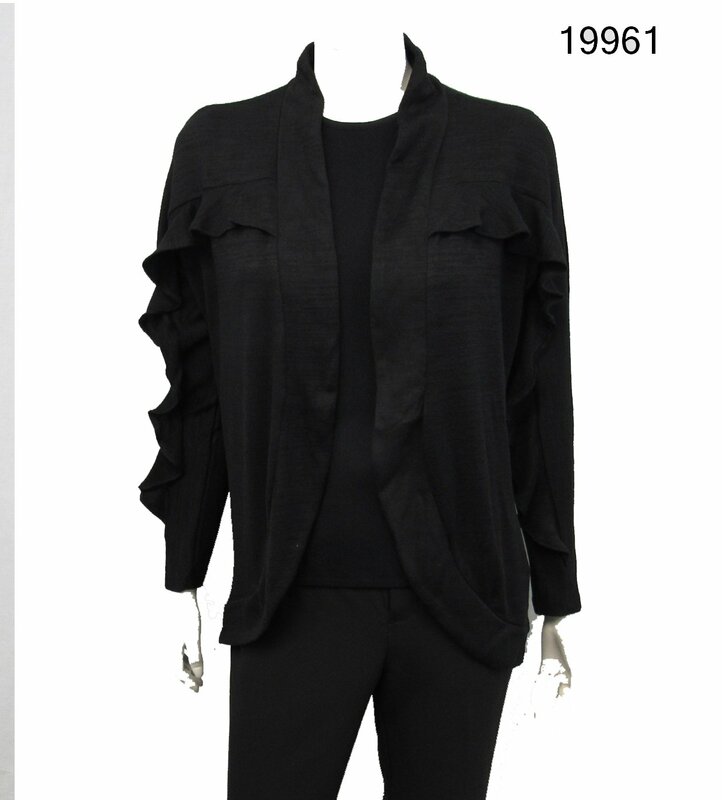 Covered zipper, unique hemline and patchwork makes this jacket stand out from the rest. 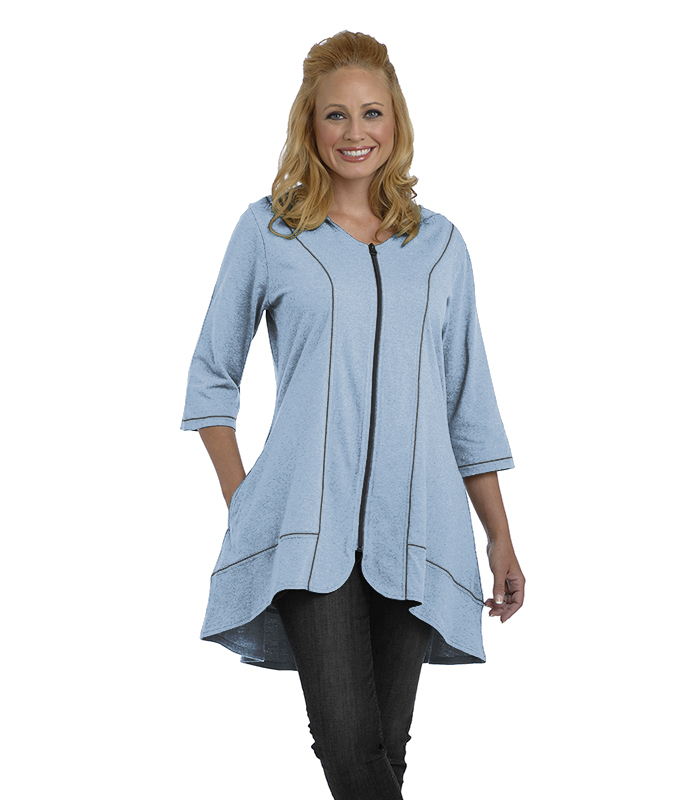 Three quarter length sleeves and front seam pockets add the right amount of functionality to this stylish jacket. 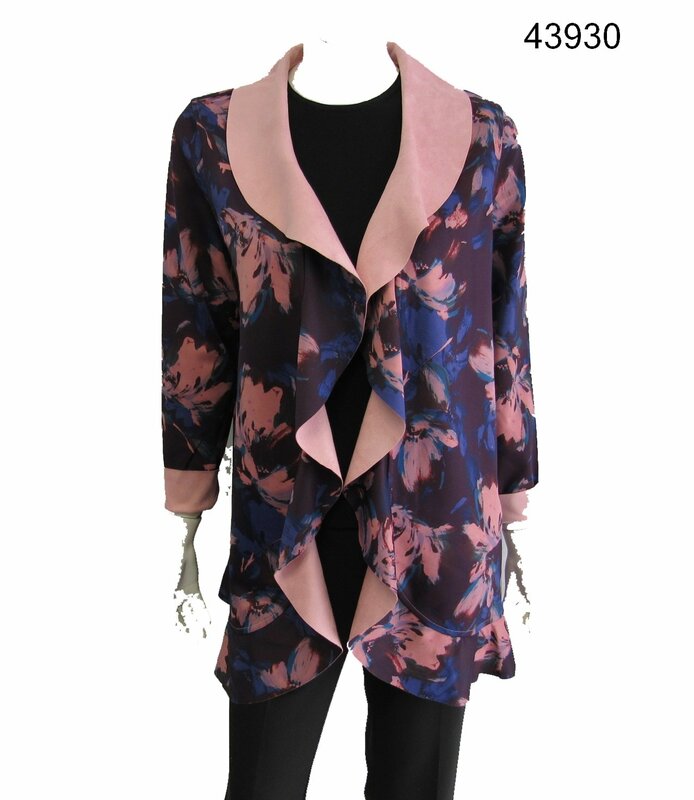 Contemporary, flattering, and versatile, you'll love how much you can pair with the Passion Flower Swing Jacket.